← Star Wars vs. Star Trek Fan Made Movie Trailer Looks Pretty Amazing! It has been something that fans have been wishing for ever since 2008, and a rumor that studios were discussing. 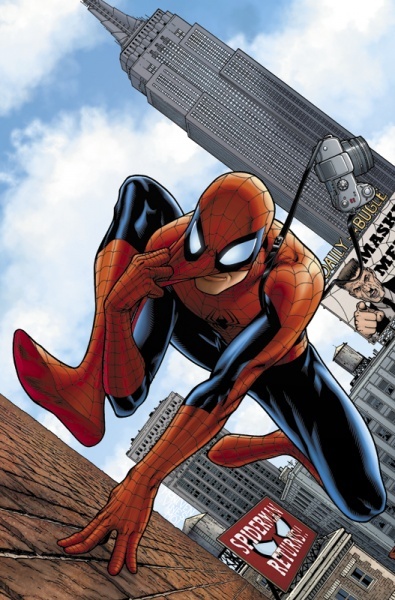 Now it is officially confirmed that Spider-Man will be joining the Marvel Cinematic Universe. Not only are we getting some really great Marvel movies down the line but now we have word that Spider-Man will be a part of these films in some way shape or form. IGN details that the deal that was struck between Sony and Marvel will bring in a new Spider-Man in one of the upcoming films. That film has not been named by either studio, but there were rumors that Spider-Man would be involved in the third Avengers film in 2018. Those rumors were squashed by the studios, but now that this new information has been made public it is likely. Of course all of us comic book geeks would love to see Spidey make an appearance in the upcoming Civil War movie that will star Chris Evans as Captain America and Robert Downey Jr. as Iron Man. Spider-Man was a big part of the story in the comic books, so perhaps they will integrate him. In other Marvel news, they are ending their universe in the comics with a big Secret Wars event this spring. There is a chance that Peter Parker will be done for a long while in the comic books and that Miles Morales – the current Ultimate Spider-Man – could take over. So that might mean that Marvel is looking to incorporate him into the MCU. This would make sense since there were reports that Marvel did not like Andrew Garfield’s portrayal of the character, and wouldn’t want him to reprise the role. Either way, while Sony will maintain distribution and final creative say, the fact that Kevin Feige is involved as a producer makes me believe that Marvel is trying to right this ship. Fans are finally getting Spider-Man back, and hopefully in a way that will make them happy. Posted on February 10, 2015, in Entertainment, Movies and tagged marvel, Spider-Man. Bookmark the permalink. Leave a comment.